What will government be in 2040? How will it operate? 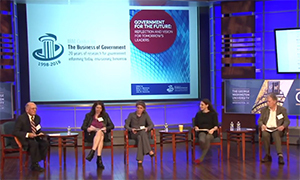 In celebration of its 20th anniversary, the IBM Center for The Business of Government convened a panel discussion envisioning government operations 20 years into the future. Listen to the interview or learn more about our event and book.